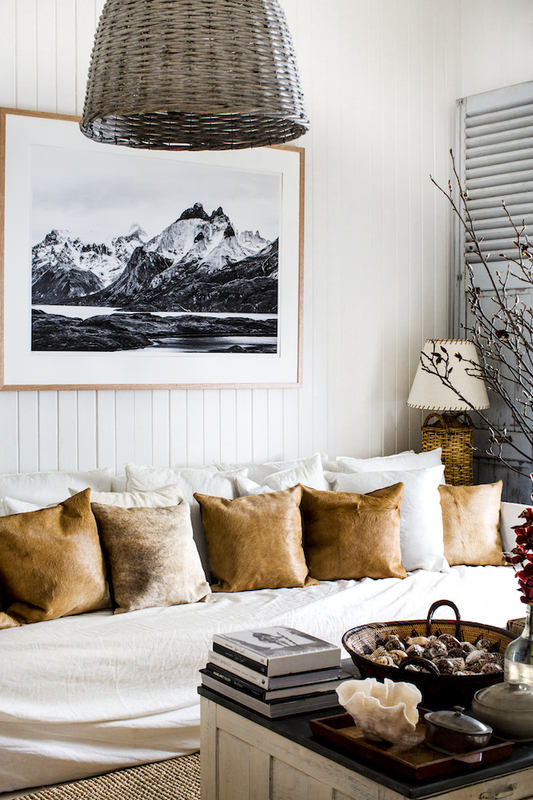 Beach Cottage Chic In This Nature Inspired Australian Home — Nature | City Co. When we launched this business over five years ago from our Florida settings, with offering our line of beach and surf style home decor accents, a big portion of our client base and audience growth over time has come from the Australian Coast! It has some seriously wicked surf, and we discovered that we had a dedicated international audience for our niche! For that, we're extremely blessed. I mentioned in a previous post that I pin a lot. So in bringing up my mentioning of the great Australian outback, I wanted to spend today's post writing about a recent pin I discovered from my feed, a home celebrated by weathered and rustic finds, via artist Kara Roselund by way of Niki Brantmark and her blog My Scandanavian Home. The original blog post article can be found here. 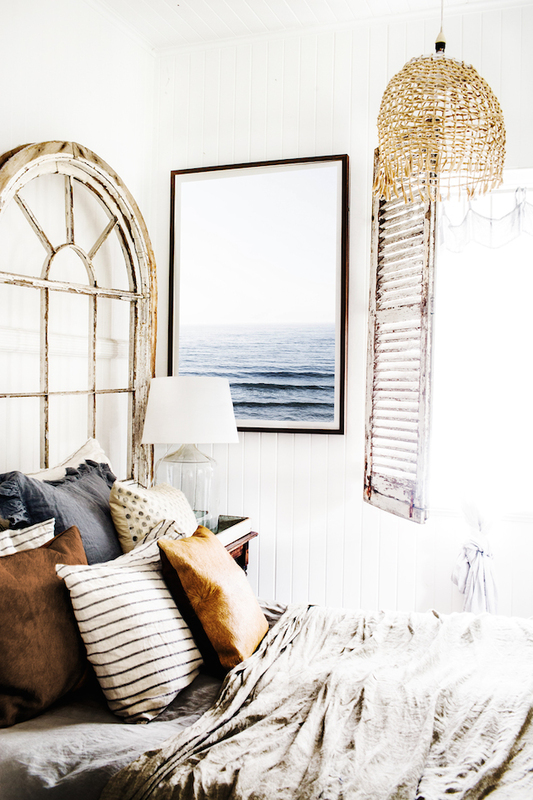 I've been drawn to the look of this rustic beach chic home setting through my read, and wanted to share with you some of the interior highlights that caught my attention! Sand and wood infused inspiration to greet you at the entryway, some chic additions consisting of wicker style market baskets and stained wood furnishings throughout the main hall. 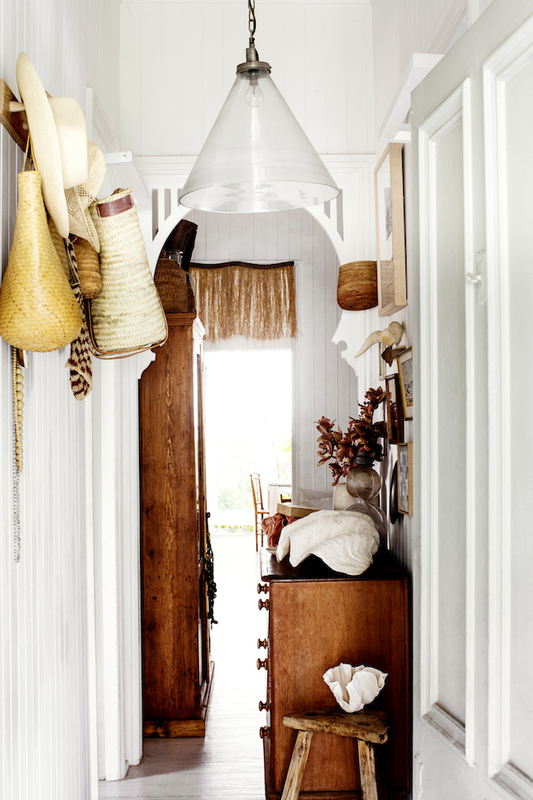 And again, the wicker baskets, with the addition of spring style straw hats against a lovely white washed wood panel strip wall passageway. Boho infused outdoors coastal inspo, with a vivid landscape framed wall art addition of snow capped mountaintops and freshwater river valleys below, displayed atop a lovely arrangement of rustic accent pillows! 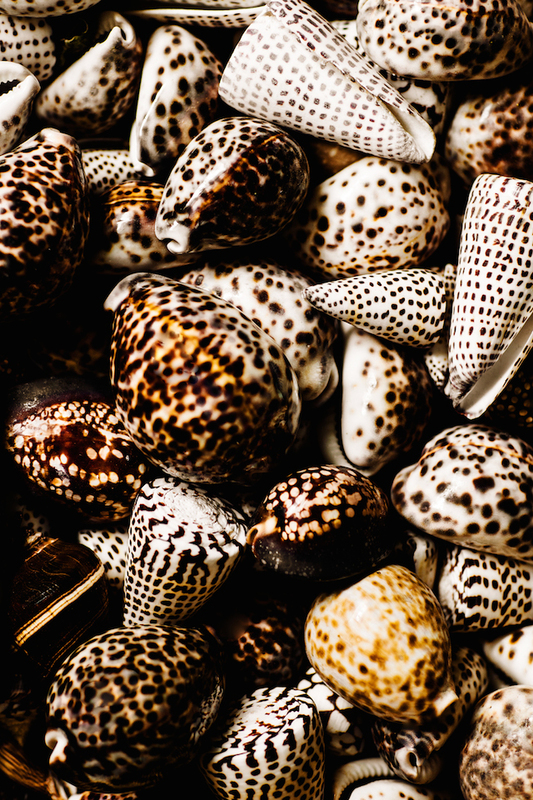 I spy a beach touch over the painted wood coffee table with an abundance of gathered seashells! And a closeup of the centerpiece bowl, filled to the brim with speckled seashells throughout! A touch of cottage chic living in this farmhouse style open space kitchen setting! 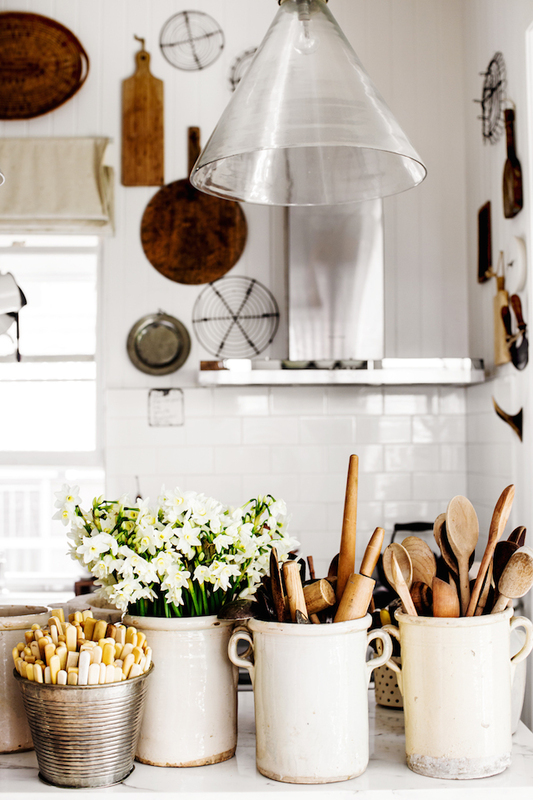 Cups full of wood stirring spoons and fresh cut flowers! And just look at that whitewashed wood panel board flooring! 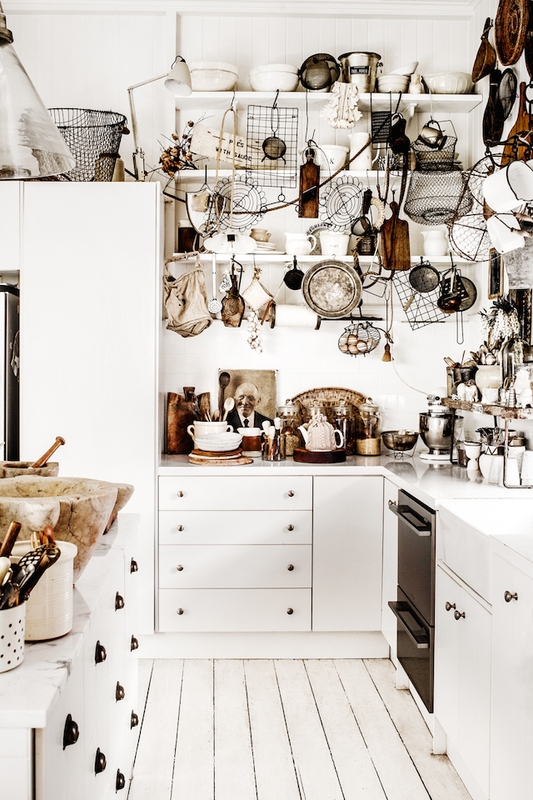 I'm digging the addition of all of these hanging antiquated cooking utensils throughout! Breath in the fresh open air with this backyard patio dining area seating arrangement, with wood table and wicker bench seating on all four sides! 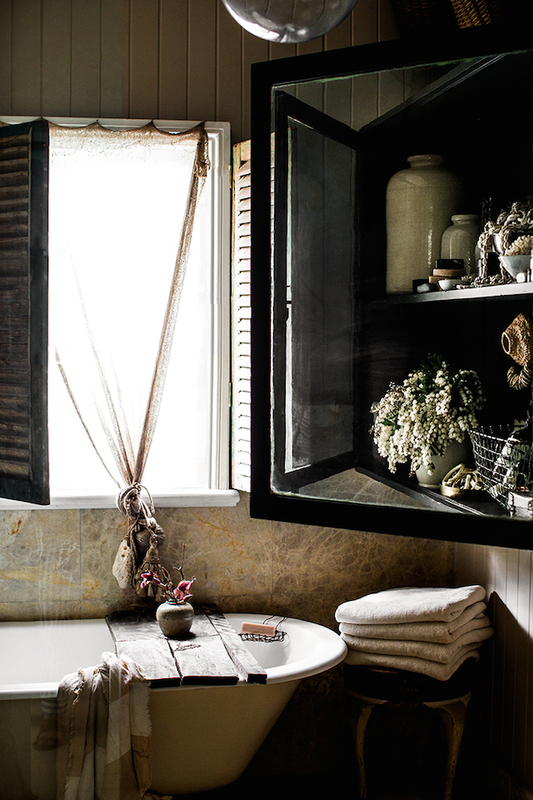 This tiny corner bathroom with clawfoot tub looks like ever the more reason to call it a day! And my favorite part of the home: the bedroom! Do you Air BnB? We're on our way!